Sunday school lessons are sometimes the hardest to prepare for. You don’t want to water down the doctrines that you are teaching but sometimes, you need object lessons to make the lessons easier for children to understand. I was given an opportunity to review 2 products from Christianity Cove’s Sunday School lessons through the Schoolhouse Review Crew and I would say that they provide good resources for the Sunday School. Christianity Cove is a web-based Sunday School and Bible lessons provider. They use projects, crafts, skits and different activities to make the lessons become more practical for the children. They use items that are inexpensive and easy to find around the house. They offer several products, and I was able to review Tween A Rock and A Hard Place Lesson Blueprints and Make & Take Bible Crafts. I have a 9 year old daughter and I wanted a devotional guide which we can discuss together, involving issues they now face at this stage of life. Between the ages of 9-12, there are several issues we need to discuss before she reaches the teenage years. Tween A Rock and A Hard Place Lesson Blueprint is a downloadable PDF file which includes 12 moral lessons which are uncomfortable to discuss. It comes with another PDF file which serves as a guide to understanding Tweens and how to approach the lessons. The lesson includes topics about Jesus, conformity, peer pressure, dress, abstinence, drugs, drinking, gossiping and forgiveness. Each lesson contains a lesson capsule, class activity, discussion guide, small group activity and a conclusion. The guide is geared for small groups so as I only have 1 tween at home, we skipped most of the group activities. We read the lessons daily and discussed the content together. 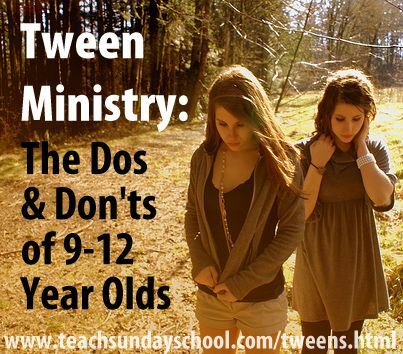 I think some of the topics were not appropriate for our culture and my daughter as of this time, but this would be a good guide for teachers of Sunday School who handles kids with a wide age group. As homeschoolers, these lessons gave us a guide how to start conversation about these topics at home. We deviated from the script and the answers to the questions from the guide since we have our own approach to these topics. I think the document would be a good guide but still needs to be discussed with parents or pastors. The other product that we reviewed is Make & Take Bible Crafts. It is a downloadable PDF file which contains 47 Bible craft ideas which you can finish in 20 minutes or less. It contains 2o easy and fast to do Bible crafts from the Old Testament, 20 from the New Testament and 7 Bible facts and virtues. Each craft idea lists materials, preparation instructions and related Scripture. Make & Take Bible Crafts is a really good way to introduce Bible stories to children ages 4-10. All materials you would need to create the crafts are fairly easy to find around the house and would certainly help the children remember the lessons that they are learning from the Scriptures. Homeschoolers or Sunday school teachers would benefit greatly from the different creative ideas presented in this document. We definitely liked this product since we like making crafts every once in awhile! Tween A Rock and A Hard Place Lesson Blueprints costs $29 while Make & Take Bible Crafts also costs $29. Christianity Cove offers a 60 day money back guarantee. If you are interested to hear what other review crew thinks of the products, check out their reviews by clicking on the image below.